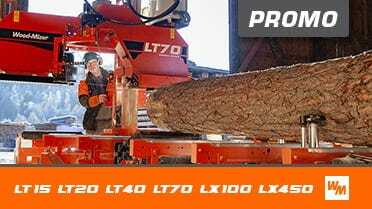 Efficiently resaw cants and boards, recover valuable lumber from slabs, produce lap siding and more with Wood-Mizer's horizontal band resaws. Single Head Horizontal Resaws fit into existing production environments and can maximize your sawmill production. Multi-head Horizontal Resaws from Wood-Mizer come in a variety of configurations to best meet your needs. Many compact and modular multi-cut resaws are available which offer thin-kerf bandsaw blade accuracy, increased yield, ease-of-operation, reliability, and versatility make Wood-Mizer’s broad range of multi-cut band resaws a profitable investment for start-up businesses and high production operations.